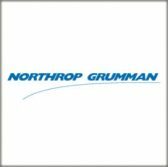 Northrop Grumman has partnered with George Mason University and Northern Virginia Community College in an effort to increase graduation rates and boost the workforce for science, technology, engineering and mathematics areas. The company said Tuesday it is working with the schools’ ADVANCE partnership program aiming to help community college students graduate with a four-year degree and pursue STEM careers. Northrop’s contribution will support a scholarship fund for STEM students under the program that seeks industry help to address workforce gaps. This effort follows Northrop’s previous acts of support to help GMU administer STEM education programs. The company previously sponsored a program that promoted hands-on science education in Virginia, and helped GMU develop a cybersecurity degree program.